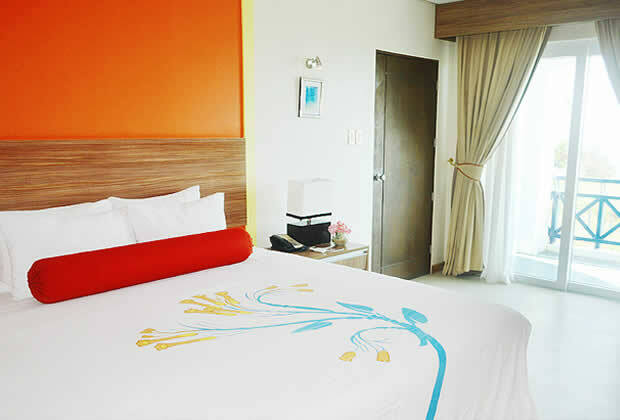 Thunderbird Resorts & Casinos – Poro Point offers a unique accommodation experience – radiating the highest standards of comfort and luxury. The well-appointed Rooms and Villas permit you to have the ultimate staycation of a lifetime. It has 35 deluxe rooms, 29 Ocean Wing deluxe rooms and 4 luxury suites and 60 Santorini-inspired 2-bedroom and 3-bedroom villas and a soon to rise presidential suites. 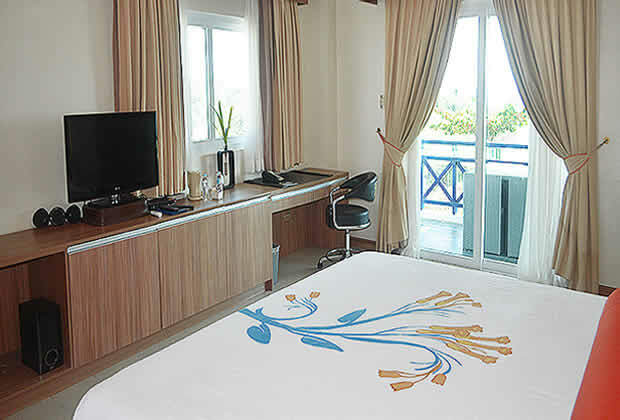 All hotel rooms at Thunderbird Poro Point are equipped with topnotch amenities. The average floor area is 50 sqm. 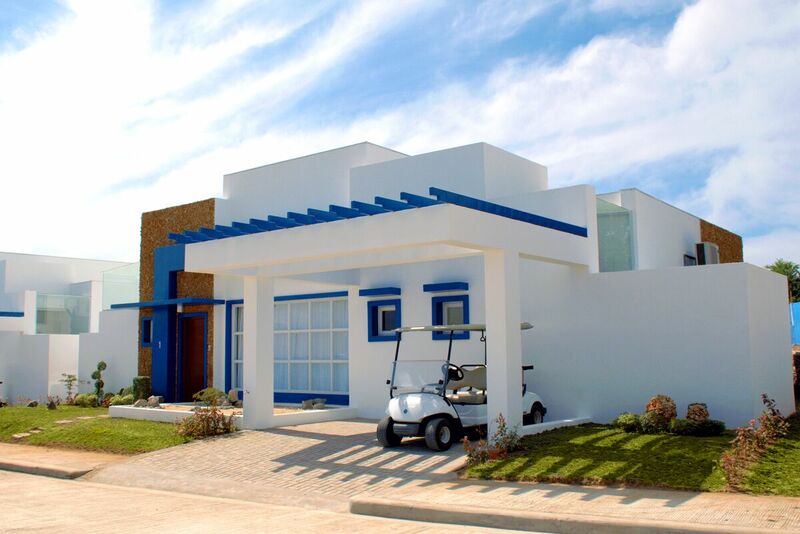 The luxury suites offer a panoramic view of the golf course and sea. Premier deluxe provides guests with 47 sqm of exclusive space, with its own balcony and en suite bathroom. 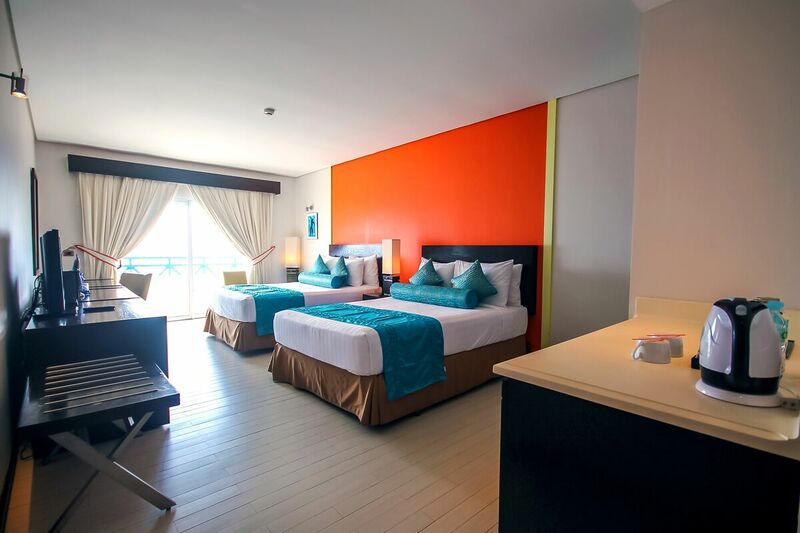 The stylish rooms are facing the West Philippine Sea viewable from the balcony. The balcony is equipped with a four-seater outdoor table. 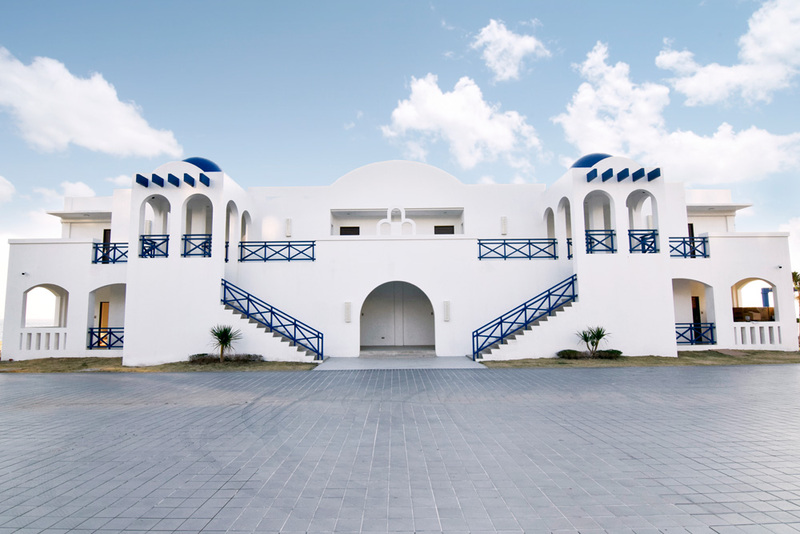 Santorini deluxe comes with a king-sized bed, living area and en suite T&B and own balcony where you can view the vastness of the ocean. It also includes a mini bar for your convenience. The room is also equipped with an office desk if you need to do some errands while vacationing. With 47 sqm of exclusive space, the rooms are located in the South Wing of the hotel. Santorini junior is also located in the South Wing. The 88-sqm room is furnished with a living room and dining area, with its own balcony. An adjacent entertainment section and workstation near the balcony completes the room. Santorini Master provides a bigger space at 104 sqm. 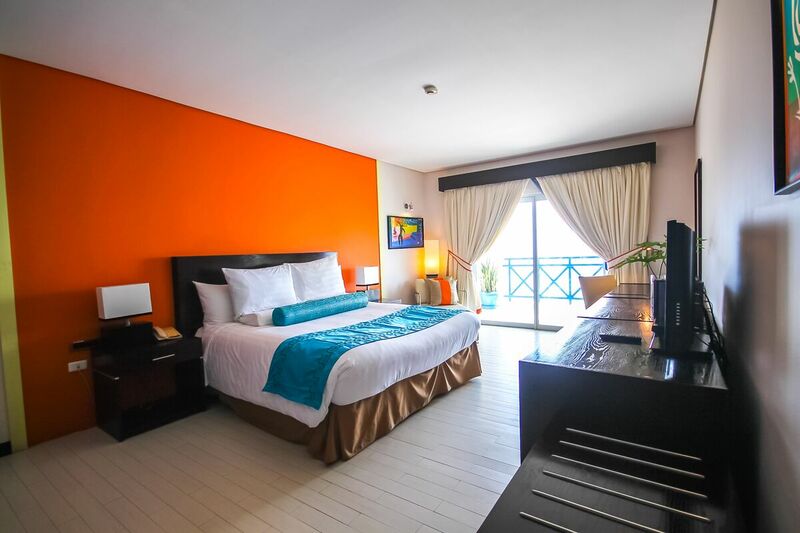 The rooms are furnished with a living room and dining area, with its own balcony. The ocean is viewable from the balcony. Our soon to rise Presidential Suites Poro Point gives you the ultimate grandiose luxury experience of a lifetime. Live the lavish lifestyle of royalty as you dwell in our presidential suites. The 70-sqm presidential suite consists of a stylish lounge, elegant bedroom and comfort room. It is also fitted with a private balcony with an infinity pool. 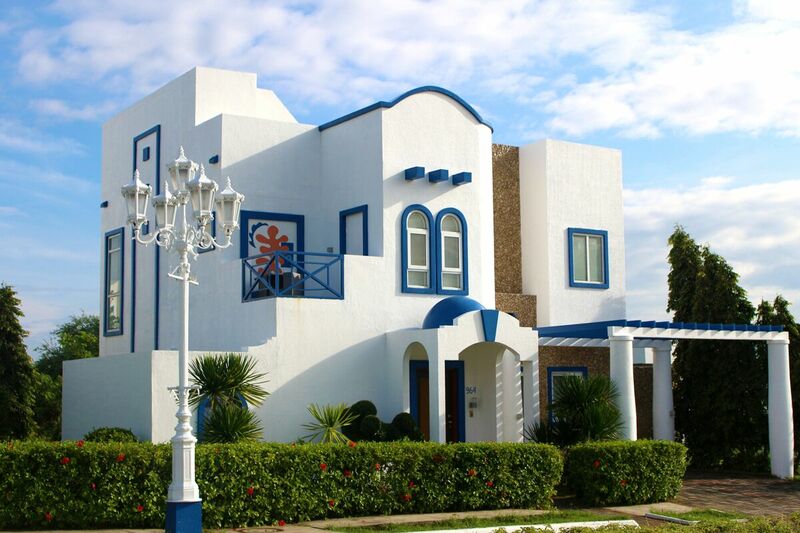 Thunderbird Poro Point has 14 presidential suites, each equipped with three bedrooms. A good number of the presidential suites are beachfront villas where one can witness the most beautiful sunset in the world. Experience a luxurious stay of a lifetime at our Presidential Suites.